No. 99 Red Cask Whisky was the number one searched Canadian Whisky of 2017. It’s made in small batches from grain (rye, malted rye and corn) that has been individually mashed, fermented and distilled. 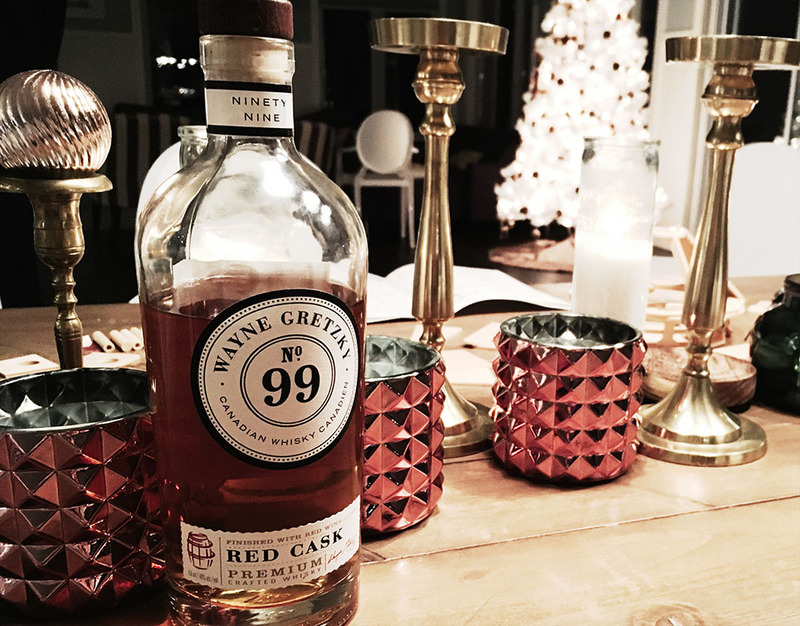 After aging, the whisky is finished with red wine casks from the Wayne Gretzky winery. I received a bottle as a gift and decided to see what all the buzz is about. First sniff is unimpressive; there is little to no nose, which is deceptive because the palate explodes with flavours of caramel, butter, fruit and some sweetness. There is a little of the wine barrel in the glass. The medium length finish leaves just enough wood and smoke on the tongue to give it that nice Canadian Whisky experience. It’s a good whisky for the price. Looking for a different kind of whisky? Read our reviews of Johnnie Walker Black Label, Tomatin Highlands Single Malt, Martell Blue Swift VSOP and Auchentoshan Bartender’s Malt.